Why figure out all the details yourself when someone can do it for you? 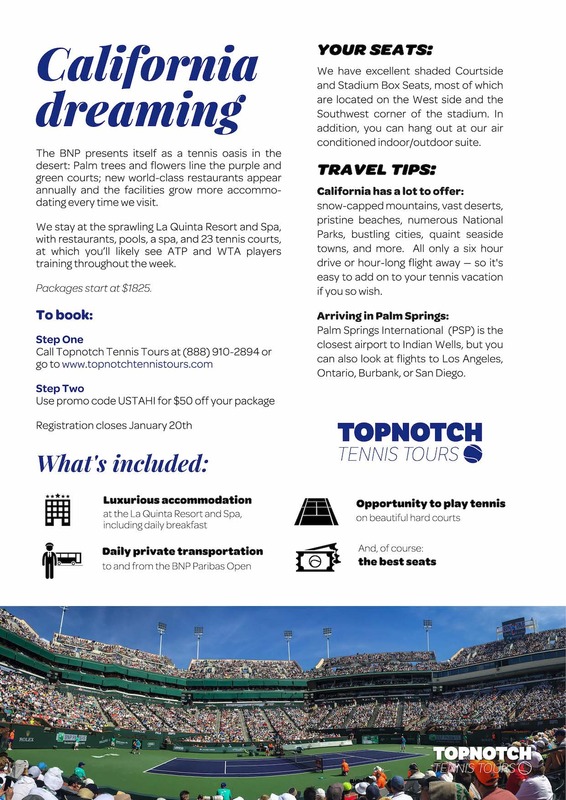 We have partnered up with Top Notch Tennis Tours to offer $50 off to USTA members booking a package to the BNP Paribas Open at Indian Wells this March. Best part is, a portion of your purchase directly benefits our Hawaii Pacific Section! Simply use the promo code below and book by January 20, 2018.